New American Funding, a leader in the mortgage industry, has named Eric and Leslie Bergen as Area Production Manager and Area Sales Manager respectively. 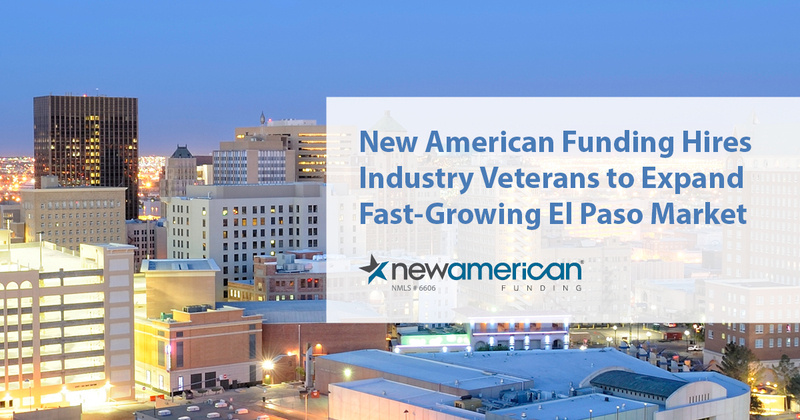 They will be key leaders responsible for expanding the company’s footprint across Texas and New Mexico through increasing loan production, onboarding Loan Originators, and opening new branches. The Bergens are El Paso natives who most recently worked as a husband-and-wife team at an independent lender where Eric was branch manager and Leslie was a top-producing vice president who closed 400 loans and funded $80 million last year. They bring more than 50 years of combined experience to their new roles. The Bergens will be joined by a team of mortgage professionals who will provide a complete range of home financing and will work with all borrower types including new construction, first-time buyers, and veterans.